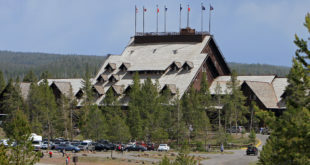 Heavy traffic has temporarily closed off access to Old Faithful and West Thumb Junction in Yellowstone National Park. With the results of a visitor use survey now published, Yellowstone National Park managers say some sort of crowd control may be in the popular destination’s future. Weather pending, the East Entrance of Yellowstone National Park will open tomorrow, May 5.